Profile: The Virtual Warfare Center (VWC) is a high-tech research facility that gives Boeing engineers critical insight into the physical and psychological reactions of the operators who use Boeing equipment in different mission scenarios. The VWC is networked with existing Boeing Integration Centers in Anaheim, California, and Washington DC, the System of Systems Integration Laboratory in Huntington Beach, California, and centers in Philadelphia, Seattle, and Mesa, Arizona. It enables live and virtual military forces and military systems to interact with one another to create realistic war scenarios in a complex and immersive learning environment. 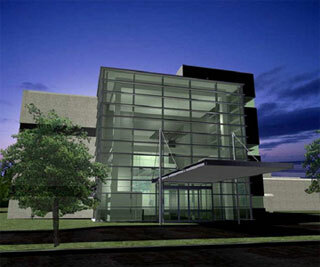 Services: Our team and key affiliates provided technology planning, design and integration consulting for the project.